This has been a good week for me, lots of really lovely things have happened and it had made me very cheery! So I thought I would share a couple of them with you. Co-incidentally (or maybe not) it is made with a skein of The Natural Dye Studio’s Angelus 4 ply yarn, which fabulous to work with and so soft. 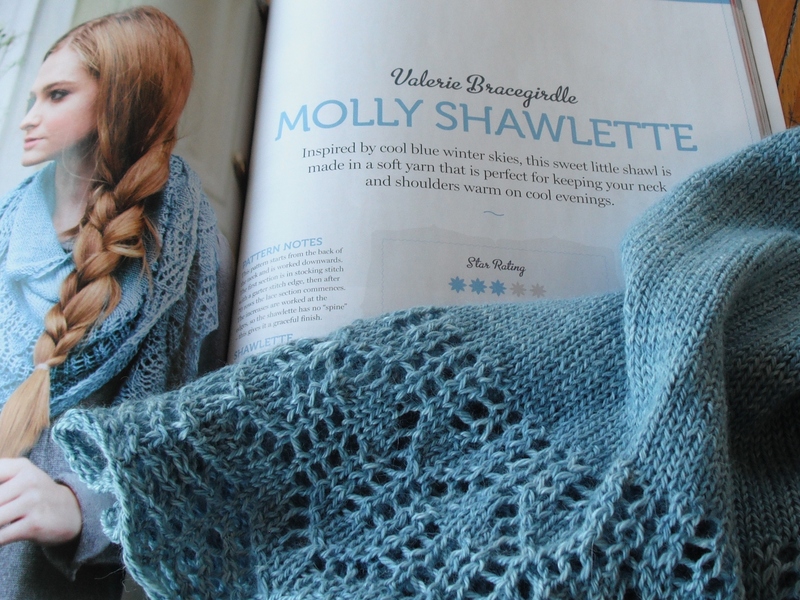 I really enjoyed reading The Knitting Collection yesterday evening. It has a lovely array of designs in it, the layout and photography is good and there are very few adverts. Altogether, in my opinion, a quality publication and well worth the £9.99 cover price. I don’t submit my designs to magazines often, as I prefer to work to my own timetable, but I am proud to part of this one. 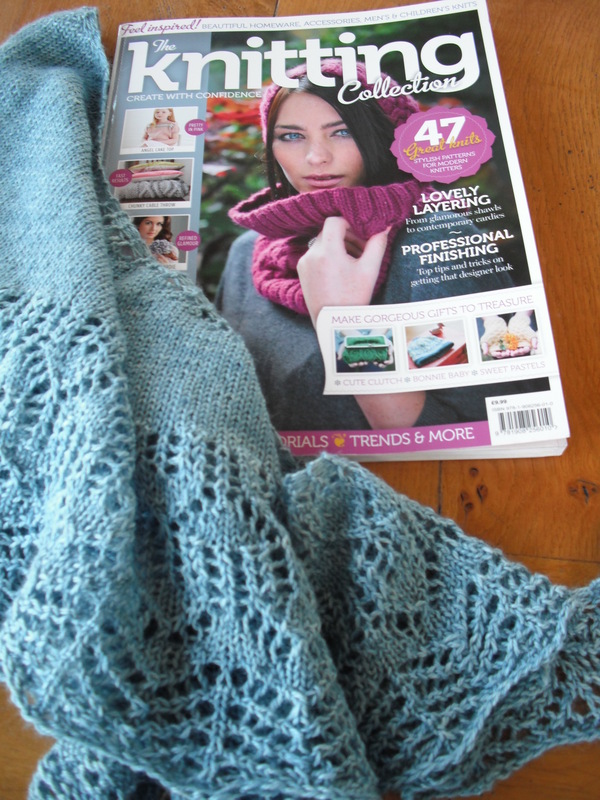 The Shawlette looks really good and just the sort of thing that I knit, so will look out for the magazine. I can’t believe that you are so close to finishing Bohemian Rhapsody, and can’t wait to see it. Your little box must be almost empty now! Yes Jenny, the box is getting lighter and I hope it will be empty soon!! Any idea where I can buy the Knitting Collection searched for it but unable to find!! !